Product prices and availability are accurate as of 2019-04-19 07:41:59 EDT and are subject to change. Any price and availability information displayed on http://www.amazon.com/ at the time of purchase will apply to the purchase of this product. Helps hydrate your skin while reducing the signs of wrinkles and age spots with Neutrogena Rapid Wrinkle Repair Night Moisturizer. 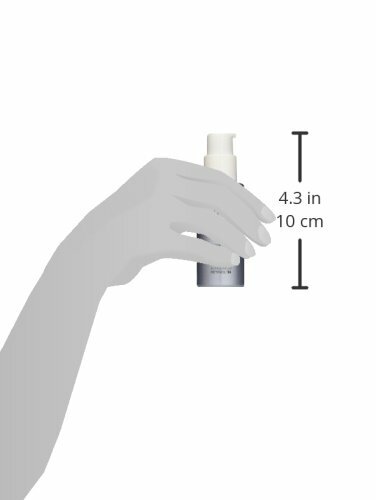 Designed for use as a night cream, this fast-acting face & neck moisturizer visibly improves the look of stubborn wrinkles, including crow's feet and forehead and cheek wrinkles. It also helps reduce the look of fine lines and texture, and brightens and evens skin tone. In a clinical trial, 100 percent of women experienced noticeable results in just one week of use. 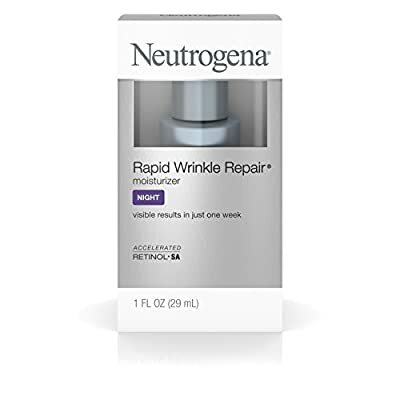 This anti-wrinkle formula contains accelerated Retinol SA, a unique combination of ingredients and is clinically proven to leave skin feeling smoother and looking younger. Formula with Retinol SA continuously renew skin, helping to reduce the look of wrinkles fast and diminish the look of age spots. 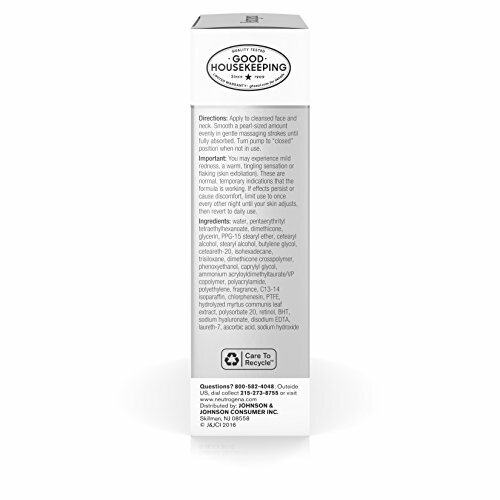 Glucose Complex, a Retinol SA booster in this formula, helps accelerates the skin's surface activity for fast results. 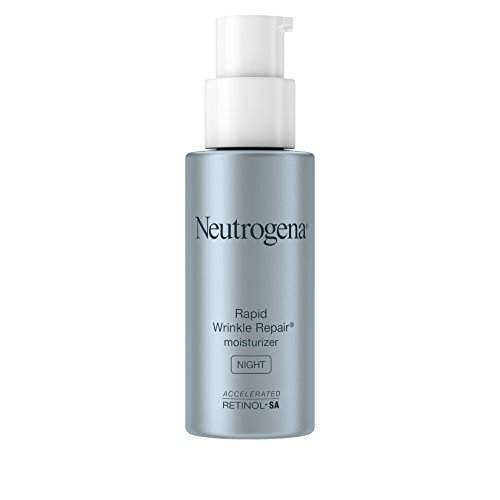 Formula with hyaluronic acid adds line-plumping moisture to help hydrate, replenish, and rejuvenate the look of skin.